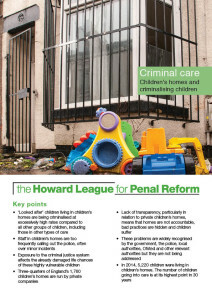 Children living in children’s homes are being criminalised at excessively high rates compared to other boys and girls, including those in other types of care, the Howard League for Penal Reform reveals today (Wednesday 30 March). Research by the charity suggests that there is a systemic problem across England and Wales that leads staff to resort to the police, often over minor incidents that would never come to officers’ attention if they happened in family homes. There appears to be a ‘tipping point’ around the age of 13, at which time these children lose society’s sympathy and, rather than being helped, they are pushed into the criminal justice system. 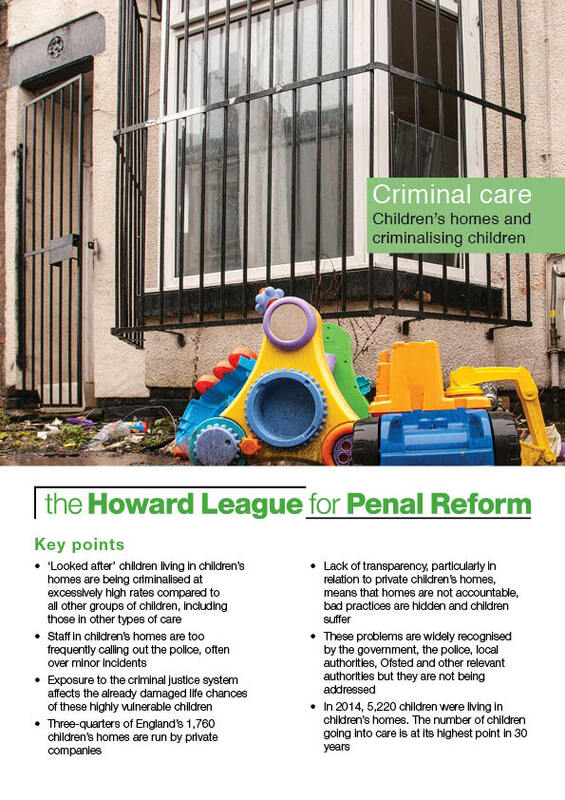 Criminal Care: Children’s homes and criminalising children can be read online. 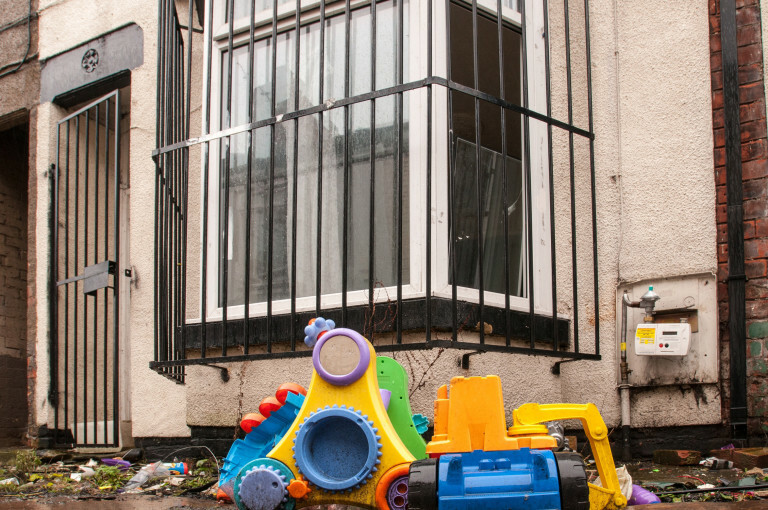 *This information was provided by Lincolnshire County Council and relates only to local authority-owned children’s homes, including one Secure Children’s Home. Freelance researcher Claire Sands carried out the research on the Howard League’s behalf.